Golf carts are very useful and their use goes beyond just transporting golfers and their stuff within the golf course. These days, even resorts around the world, whether inland or located near the beach, use this small vehicles to bring guests to specific areas of the complex they want to visit and explore. The Golf Carts For Sale blog is an online resource for buyers and sellers of new & used golf carts. Here you will find informative articles about golf carts, golf cart parts, golf cart accessories, golf cart batteries and industry related news. Helpful tips and interesting facts are also available on the site. 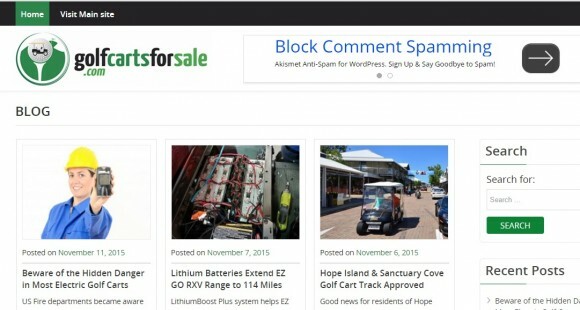 The blog is run by GolfCartsforSale which offers sales information and reviews on the different types of golf carts as well as their parts and accessories.